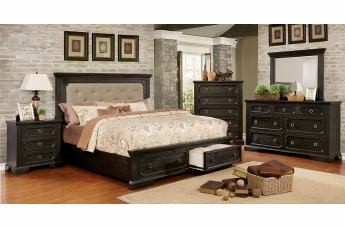 Wake up to the beauty of this glorious transitional style bed collection. 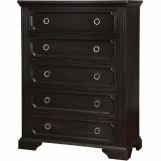 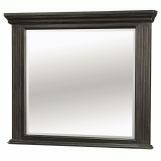 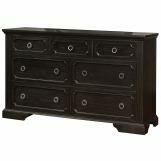 The wire-brushed black finish adds a rustic touch while the antique inspired ring drawer pulls add a vintage vibe. 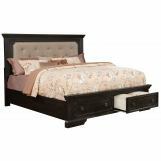 The dramatic, fabric upholstered headboard showcases tufted detailing and nailhead trim border for a look that will warmly welcome you home. 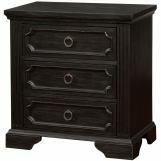 Don't forget to utilize the built-in footboard drawers to keep your bedroom neat and tidy at all times.